It’s time to buy a life insurance policy! Investor Heritage is a life insurance company that many people consider as a possible provider. If you have come to this page, then you may be wondering if Investor Heritage is the best life insurance company for you—TermLife2Go is here to help you answer that question! 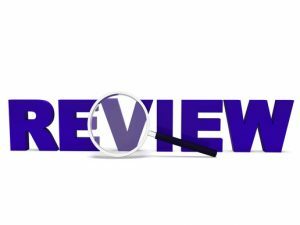 In the following review of Investors Heritage Life Insurance Company we will explore the company’s history, ratings and products. Our goal would be to provide our visitors with the knowledge they need in order to make an informed decision when choosing a life insurance company. If you are in the market for coverage, please don’t forget to stop by our online life insurance quotes page for exam and no exam rates. Relatively young for a life insurance company, Investors Heritage first started in 1960 in Lexington, Kentucky. Since then, a lot has happened and Investors Heritage has gained a reputation as a reliable life insurance company offering great life insurance products to satisfied customers everywhere. In the process, Investors Heritage purchased companies like Regal Life Insurance Company, Great Atlantic Life Insurance Company and Franklin American Life Insurance Company. Today, Investors Heritage is licensed in 30 states. As promised, we’re now going to take a look into the ratings of two of the most respected agencies in the market; A.M. Best and the BBB. In addition to this, we’re also going to assess an important aspect in customer service. A.M. Best – One of the top rating agencies is A. M. Best. In June 2016, A.M. rated Investors Heritage with a B+ or “Good” rating. As a result, it means that A.M. Best views the company as one that can make consistent profits and offer ‘creditworthy’ products; especially towards the pre-need market. Within the most recent report, A.M. Best noted how the competition in the final expense and life insurance markets are both extremely strong. In order to improve in the future, Investors Heritage Life Insurance Company need to post better operating results on a more sustainable basis. When it comes down to it, although not the strongest, this A.M. Best rating for Investors Heritage Life Insurance Company is still respectable. All things considered, they’re in the third tier down in ‘Good’. With the right changes and improvement in the coming years, they can make that jump to B++ where they’re just one step away from a Superior rating. Customer Service – In terms of customer service, this is extremely important these days because you need to be able to get in contact with your provider to make changes to your policy or resolve any worries you have. Although some think it isn’t important, what happens when you or your life insurance beneficiary need help and nobody is around to take your call? With Investors Heritage Life Insurance Company, there are actually numerous options for customer service and it starts with their ‘Contact Us’ page on the company site. Here, you’ll find a physical address, a mailing address, phone number, email address, and even a map showing their location. With this in mind, it’s already a great starting point because you have two points of focus in the phone and email (PO Box as a last resort too). However, it gets even better because they also have a contact form where you can enter your name, phone number, location, policy number, best time to call, and the reason for your request, question, or comment. With this, it means your message will go directly to the right person. With an email, you’re always slightly worried at who is actually receiving it at the other end but the contact form will take you to the right department and you can expect a reply in good time. Better Business Bureau (BBB) – Currently, Investors Heritage Life Insurance Company is not accredited with the BBB but they have been given a rating and it’s good news; A+. Essentially, the BBB looks at how likely a particular company is to interact with their customers so an A+ is up there with the very best scores in the industry. In case you were unaware, the BBB judges a company based on 13 different criteria from their complaint history to the time they’ve been in business. Once they’ve been assessed, they receive a score from 0 to 100 and an A+ rating means Investors Heritage Life Insurance Company achieved a score of over 97 points. It’s your funeral, why leave it for someone else to plan? By planning your funeral ahead of time, you can cover all expenses and know exactly what’s going to happen on the day your family mourns your passing. It also relieves your family members of the responsibility of making arrangements during their time of immense grief. Dying isn’t cheap, and The Heritage Final Expenses 2 (HFE2) policy offers coverage that will be sufficient for your final expenses and burial. Investors Heritage’s HLW Choice Whole Life Insurance plan is a policy that will last your entire lifetime—literally. As long as you keep paying, the coverage remains intact. Like with all whole life insurance policies, this is a more expensive option offered by Investors Heritage, but that’s only because the coverage is guaranteed for life and builds cash value. Different limited pay life insurance options including 5 Pay, 10 Pay and 20 Pay. Not all life insurance companies offer juvenile life insurance, but Investors Heritage does. By purchasing a policy for your child or grandchild, you will make life insurance more affordable for them later. Ideal for people who want to help their children to be fiscally responsible from a young age. Aside from Heritage Youth Protector, the final product on offer is ‘Credit Life’. As a single or joint term life insurance policy, you and/or your partner (or whomever you add to the policy) must be between the ages of 18 and 70 before qualifying for a $10,000 death benefit. If you want to convert the policy after the term comes to a close, this can be achieved and you’ll be left with a whole life insurance policy. Investors Heritage is a great life insurance company that serves 30 states across the United States. If you live in one of those 30 states, then Investors Heritage is a good company to choose. They may not be as established of the other life insurance companies out there, but they are still providing many policyholders with the coverage they need—and they’re doing so in a reliable fashion. There really is not anything “bad” to say about Investors Heritage. They are a life insurance company that we at TermLife2Go may end up recommending. That’s not to say we always recommend them, but we do when it makes sense. When does TermLife2Go recommend Investors Heritage? We recommend Investors Heritage—or any other life insurance company—only after we get to know a potential customer. We find out about your life insurance needs, current situation, health (or if you want a life insurance policy without a medical exam requirement we find out that too), and so on. Basically, we get to know everything that a life insurance company wants to know. Then, we use that information to see which life insurance company is going to offer you the best life insurance policy at the most affordable rate. The tricky thing is that each and every life insurance company gives a varying degree of importance to each of these factors. Don’t worry; we at TermLife2Go have an in-depth understanding of how the top life insurance companies determine your coverage and premium. That’s how we can tell you which life insurance company is going to give you the best deal. Another important thing to keep in mind is that one life insurance company may be the best option for your sister, but not for you! That’s why you need TermLife2Go to help you figure out which life insurance company will give you the best coverage and the best deal. Want to know if Investors Heritage is going to give you the best premium and coverage? Call TermLife2Go for a free consultation. Thank you for reading our Investors Heritage Life Insurance Company review. Please leave any questions or comments below.